It is actually possible to use Pinterest for useful tasks, though it may not seem so at first glance. Here’s how. When it comes to discussions about using social media websites as tools to help your communication, business, or day-to-day life, Pinterest is often overlooked. Pinterest is typically characterized as a website for wasting time or ambitious do-it-yourself projects, and anyone who attempts to speak to its defence generally does so based on a vague definition of its usefulness for “inspiration” (whether it be for crafts, style, or finally getting in shape). Unsurprisingly, this defence tends to be seen by non-users as weak at best, especially as there are several apps out there (such as Evernote Why You Should Be Using Evernote As Your Go-To Place For Remembering Everything Why You Should Be Using Evernote As Your Go-To Place For Remembering Everything Remember Everything. That’s the Evernote motto and that’s what it allows you to do best. If you aren't familiar yet with Evernote, you’re in for a real treat! If you have heard of it, but... Read More ) that can perform similar tasks for individual users with comparable results. Pinterest is designed to act as a virtual bulletin board. Users create pins from the websites that they visit, or can search the website for images images originally pinned by others, and then re-pin them to a personal board. 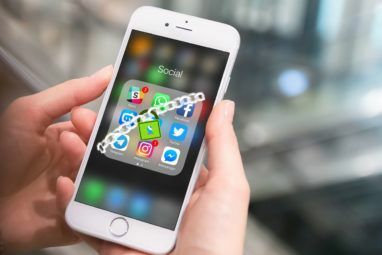 Users can follow others’ boards, and often choose to link their accounts to their Facebook profiles, allowing them to see their friends’ pins. 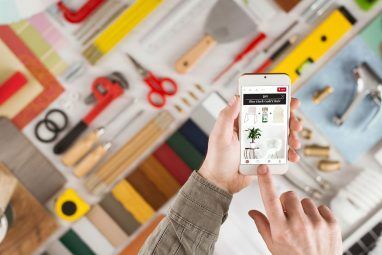 A mobile app, detailed search, and an easy-to-use interface have made Pinterest both convenient and aesthetically pleasing. As a social media website and online tool, its functionality and design should elevate it to be one of the most-used and respected websites out there. While it’s easy to learn about Pinterest The Unofficial Pinterest Guide The Unofficial Pinterest Guide This Pinterest guide will quickly show you how to use Pinterest and all of its features. This guide outlines everything there is to know about Pinterest. Read More at its most basic level, its potential is misunderstood by most of its userbase. As a result, the platform is still underused by businesses and individuals who could benefit from the services that it offers. There are a surprising number of uses for Pinterest 5 Surprising Uses For Pinterest You Haven't Thought Of Before 5 Surprising Uses For Pinterest You Haven't Thought Of Before Many users tend to limit themselves in how they use the Pinterest: wishlists, tutorials, gift ideas, or some combination of them all. But why stop there? There's more to Pinterest than that. Read More , and it is easily adapted to whatever purpose you have in mind, especially when combined with the many available Pinterest browser tools Make Better Use of Pinterest With These 5 Pinterest Tools Make Better Use of Pinterest With These 5 Pinterest Tools Whether you’ve already fallen for Pinterest or not, no one can deny the new network’s popularity. Instead of sharing your thoughts or actions, you get to share beautiful images. Not only that, those images don’t... Read More . Whether you plan on using Pinterest for personal hobbies, coordinating group projects, or growing your business, there are a few simple suggestions that will help you to use this social media tool effectively and successfully. One of the reasons that Pinterest can seem so overwhelming and shallow is because the most popular sub-categories are present not because they are the most valuable categories, but because they are often the default selection for those new to Pinterest. Because of this, it can seem impossible to escape an endless home feed of impossible recipes, ridiculous nail art, or ever-present wedding ideas. However, if you choose to focus your scope on Pinterest you will find the suggested pins far more valuable to you and your purposes. You can see one example of this in the image below. Compare the topics suggested to me by Pinterest to those I selected after doing some targeted searching. 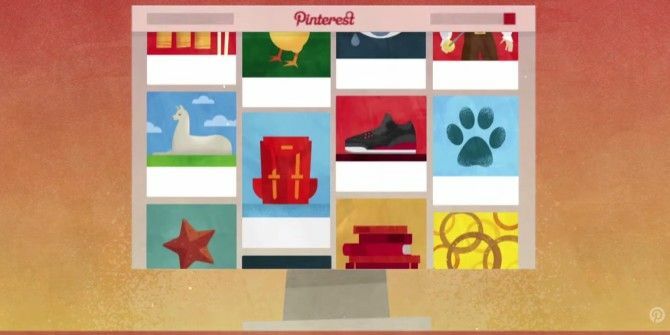 Pinterest has a sophisticated search engine, so no matter your interests you are sure to find a topic, user, or board that mirrors them! In this example, I managed to create a general feed that reflects my interests (namely social media, writing, and grammar), but as I find other users, key words, and boards that are more specific to my interests I can move away from these general “topics” and towards a highly curated feed that only includes pins I will actually be interested in re-pinning. What sets Pinterest apart from other apps designed to help users collect and organize information from the internet is its base in social media. When used properly, this functionality can allow you to collaborate with others, connect with experts, and reach your target audience. For this reason, it’s important to avoid the temptation to add any and every person that is either suggested to you by Pinterest or is connected to you through your other social media accounts. Instead, focus your interactions with others to your areas of interest by only re-pinning, liking, and commenting on the pins, boards, and accounts of individuals who are also active in your niche. Often you will be able to find these accounts through corporate websites, personal blogs, or other social media profiles. 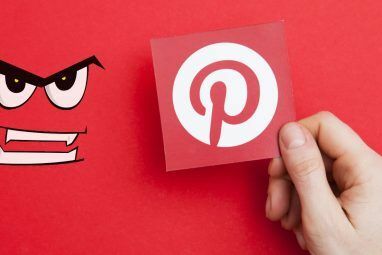 Pinterest also allows you to directly draw other users’ attention to a specific pin by tagging them @Username in a comment or pin description. This can be an excellent way to initiate conversations and discussions! Pinterest has also introduced the ability for users to open up a board to others, allowing for a cooperative approach to pinning. This strategy can be excellent when trying to share ideas for an event, interesting articles, or design concepts as it provides both an immediate visual image and a link to the full resource. Recently, a messaging feature was also introduced that allows for the easy sharing of individual pins between users as well. Far too often, individuals learn how to use Pinterest effectively for re-pinning, and do not add any original content to their boards. While scrolling through previously-pinned items is great, if that is the only way you are using Pinterest, you are missing out on a lot of its value as a social media tool. Pinterest is designed to allow you to save content from around the web, giving you the opportunity to curate boards that have information that you found personally relevant no matter the source website. Pinterest makes this easy by providing browser buttons that allow you to Pin literally anything online, including articles, gifs, videos, and images. This means that Pinterest will function well as an organizational tool no matter what kind of web content you work with. When pinning original content it’s important to keep key words in mind, as you should label each and every one of your pins with appropriate titles and captions (and even locations, if they are relevant to your content!). In addition, you can use hashtags to ensure that your pin will appear in others’ search results as well. This is especially important if you are pinning web content that you created – pins on Pinterest have a much longer shelf-life than posts on other forms of social media. With the right keywords, your pin could still be appearing in searches on Pinterest (and directing traffic back towards your website) long after it has disappeared from your Facebook page or Twitter feed. 4. Keep Your Boards Organized! While keeping your boards organized might seem like common sense, it’s a suggestion that needs to be repeated ad nauseum because of how important it is to the functionality and accessibility of your boards. At the most basic level, be sure to have each of your boards (you can have a nearly infinite number!) accurately titled with a clear description, and then follow those guidelines for the content that you pin to each board. Having a defined niche for a board is one of the best ways to guarantee followers, as you are letting them know what kind of content they can expect from you. At a more advanced level, ensuring that your boards are pleasing to look at is a great way to attract the attention of those that use Pinterest for its aesthetic appeal. It is also important to recognize that there are a number of different pin styles dependent on the content that you are pinning. For example, an “Article Pin” only lists the title and description of an article, but a “Recipe Pin” will list both the recipe title and ingredients, and “Place Pins” will automatically be added to a map and showcased with other Place Pins. Pinterest also offers the option to hide some of your boards from public view. You can choose to keep these boards completely private, or share them only with selected others. This is a fantastic option for boards that are not yet ready for display, that contain sensitive information, or that only pertain to select individuals. What is the Best Way You’ve Seen Pinterest Used? It may have experienced some growing pains at the very beginning of its time online, but now even successful brands use Pinterest Learn From The Best: 3 Brands That Are Nailing It On Pinterest Learn From The Best: 3 Brands That Are Nailing It On Pinterest These brands show us how Pinterest should really be done. Learn from them! Read More as an effective way to showcase their products and aesthetic. There are an unimaginable number of uses for Pinterest; I personally have seen Pinterest used as a way to plan parties, organize research, share recipes, and even as a creative group presentation in a university Psychology class! What is the most creative way you have seen Pinterest used? Do you find it helpful as a social media tool in your industry? As a sewer I have identified a few crafts I would like to make. However, I am not able to find the patterns. Instead I keep being sent to another pin. This is very frustrating. Can anyone help? I used to like Pinterest a lot more than I do now. I follow 6 or 8 people (who are not huge pinners) and I pin a few pins per week and yet my feed is so cluttered with suggested pins that I can hardly see my pins. Now I'm getting pins from boards and members I'm not following and the only way to get them off my feed is to go follow that board/pinner and then unfollow. Not to mention that stupid news feed box in the upper right corner that constantly shows a red dot. I would follow more people and/or companies too if there was a way to mute them and keep their massive number of daily pins off my feed (like I can do with Twitter & Facebook) but I see no way to do that. Pinterest used to be fun and very useful, now it's just a huge pain to use and I find myself going there less and less. Oh no! Thanks for your insight Laura - it's good to know about some of the more frustrating changes that Pinterest is making. I haven't found a way yet to turn off the featured pins either, but it looks like some people online have found a reduction in the number of featured pins if they change the "allow personalization" option in their settings to "no". Maybe you've already done that, but it might be worth a shot? One of my big problems with Pinterest is that a non-member is effectively locked out - every time I follow a link to a pin, I get a 'Join Pinterest!' pop-up that hides it completely before I get a good luck at it. That would seem to put some interesting limits on its usability. You're right Scott - that's definitely a downside to Pinterest's usability that I hadn't considered. I do appreciate that it's one of the sites you can still join independently of linking it through your Facebook though, so signing up for an account isn't too painful! Still, definitely a limiter for its widespread use, especially as it seems to be specifically popular only within certain groups, with other social groups largely choosing not to use it. Many of us have learned from experience to limit access given to sites. I might be interested in Pinterest, but since I can't even look at it other than a brief glimpse of a page before it throws up a blocking pop up, I certainly can't evaluate whether or not the creation of yet another account on yet another site is prudent. Mark me as Unpinterested right now. I use private boards for keeping track of long articles I want to read or information I want to be able to retrieve more quickly than trying to remember what folder I bookmarked it in. As a former devoted Springpad user, I've seen many mentions since its shutdown of how Pinterest can do what it did. I just never got that because Pinterest has always seemed more bubblegum eye candy than functional and practical and productive. But your article, Briallyn, has shown me several points of perspective and usage I was missing. Even though I forced Google Drive into a working replacement, I'll give Pinterest another look. 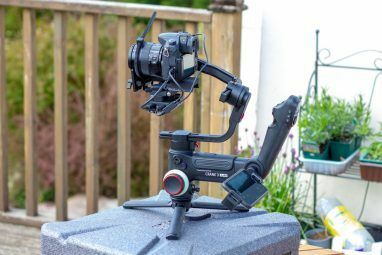 I am a Springpad Expat myself and I am wondering what your workflow is now. I myself use keeeb/Dragdis for pinterest like stuff (I like my privacy) and Centrallo for text. My work flow is summed up as basically a large tree of old-style folder hierarchy a la Windows bracketed in the beginning and the end by strings of foul oaths concerning the lack of Springpad subscription options. For what it's worth, this hierarchical depth, though appearing pretty archaic in this Pinterest world, is why I told Evernote that our relationship was over...and moved to Springpad. Thank you so much for your comments! I'm glad I was able to give you another perspective - It’s only been recently that I’ve seen Pinterest as more than “bubblegum eye candy” (what an apt descriptor!) too . I’m really impressed that you’ve managed to work Google Drive into a functional alternative!